When you think of buying some doughnuts, whether it's from Checkers, Spar or Woolworths, the packaging you get it in, isn't very appealing in any way. 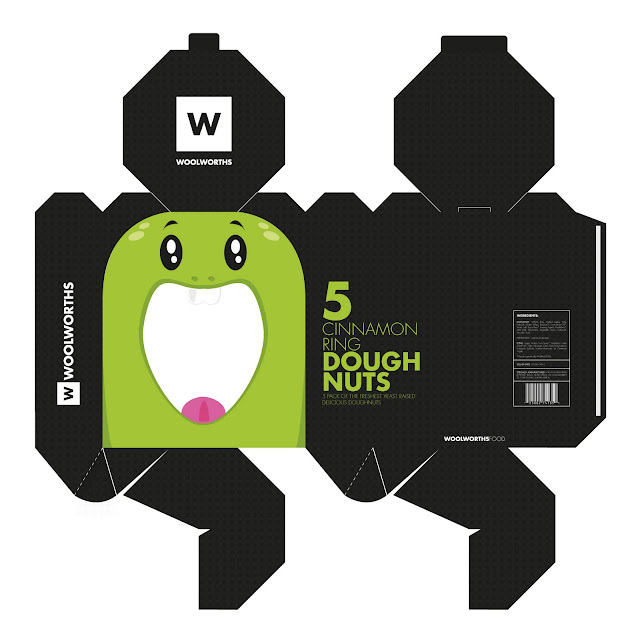 For this project, I chose to redesign a 5 pack doughnut package for Woolworths. I Chose this brand, because I enjoy the modern / clean look they strive to achieve and because their current packaging for this product isn’t very appealling. 1. When I think of a doughnut pack, I think of fresh, colorful and visible doughnuts. are inside. The doughnuts’ must be emphasized by sense. current style of bright color on black. > Clean and legible type on the packaging. > Cut out window to see and smell the contents inside. > Embossed type and imagery that enhances touch. > Shaped package to hold contents snug and more efficiently. > Possibility for series in this style, eg. Different characters and Colors. > Very easy and fast to assemble / disassemble. 2. 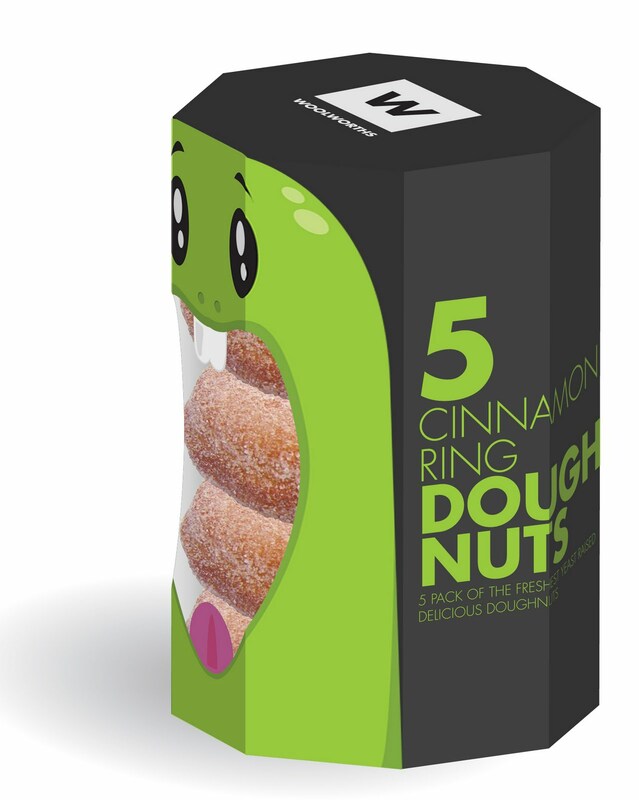 This new doughnut package design will have many advantages to any other predecessors. > Much more pleasing to look at. > Appeals to a bigger audience. > Temps all human senses. 3. Usage of the packaging is easy and effordless. > Can be stacked effectively in store for point of sale and promotion. 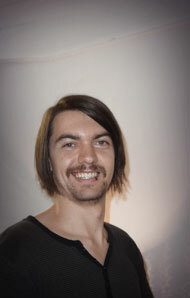 > Easy to fold for staff and customers. > Less bulky and flimsy than previous bakery box designs. > Easier to disassemble and fold smaller for recycling. 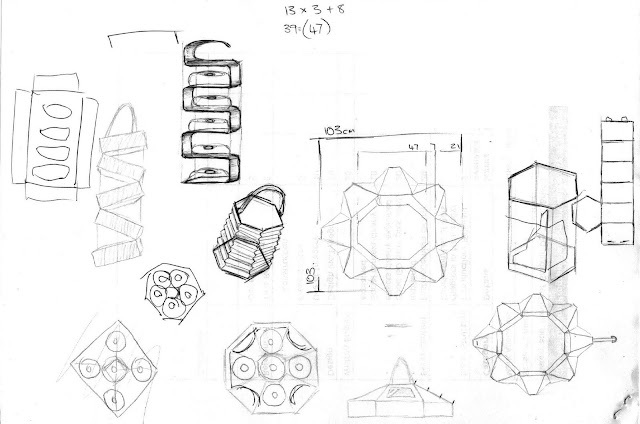 First roughs / ideas of package. 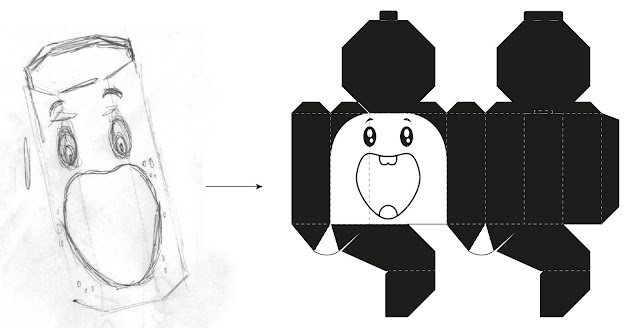 Final package design die-cut illustration and further developed. 3D Illustration of Final Package Design.